House Speaker Paul Ryan has reportedly indicated privately that he thinks President Trump’s promised border wall with Mexico has a very slim chance of becoming a reality. 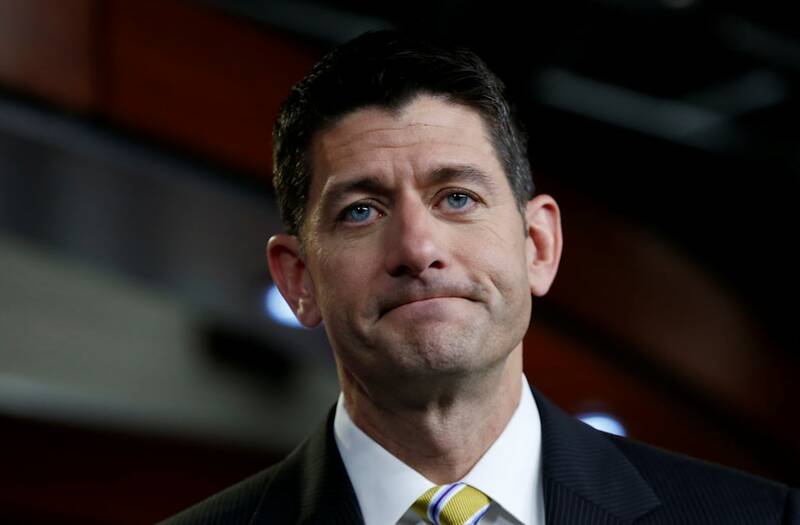 According to a Breitbart News piece on Tuesday, the comment was made at a dinner in late June, with Republican Representative Tom Tancredo telling the media outlet, "Ryan told a group of Republicans he met with…that only one person wants a wall." "Of course he means only one person in his entourage and of the leadership," Tancredo further said. "I know several people in Congress who want a wall and I know that there are millions of Americans who want a wall." Meanwhile, Breitbart says another U.S. representative corroborated that Ryan had expressed such a position. "All this narrative serves to inform is that Ryan’s is making a point of listening to Members and that Members mostly are trying to listen to each other," the person noted while defending Ryan. "I believe it is true that support for the wall is not as strong as it needs to be among House Republicans." While Ryan himself has not yet spoken out about these accounts, early last month, he tweeted his support for the border measure, writing, "RT if you agree→ It is time for The Wall." However, he later spoke out against Trump’s threat of a government shutdown if lawmakers don’t provide the funding needed for the project, reports CNN. Meanwhile, the president has continued to assert his commitment to building the wall. Trump told reporters in Florida Thursday that although he is open to a deal on some immigration-related issues like DACA, "…ultimately we have to have the wall. If we don’t have the wall, we’re doing nothing." "We have to have an understanding that whether it’s in the budget or some other vehicle in a fairly short period of time, the wall will be funded," Trump later added. "Otherwise, we’re not doing anything."